We built a multiplayer game to make understanding and engaging with the decisions made by parliament more exciting and memorable. Our game is called Question Time, and it combines data from Hansard, Australia’s edited transcripts of parliamentary debates and divisions, data from ABCs Vote Compass, and data generated by the Open Australia Parser. 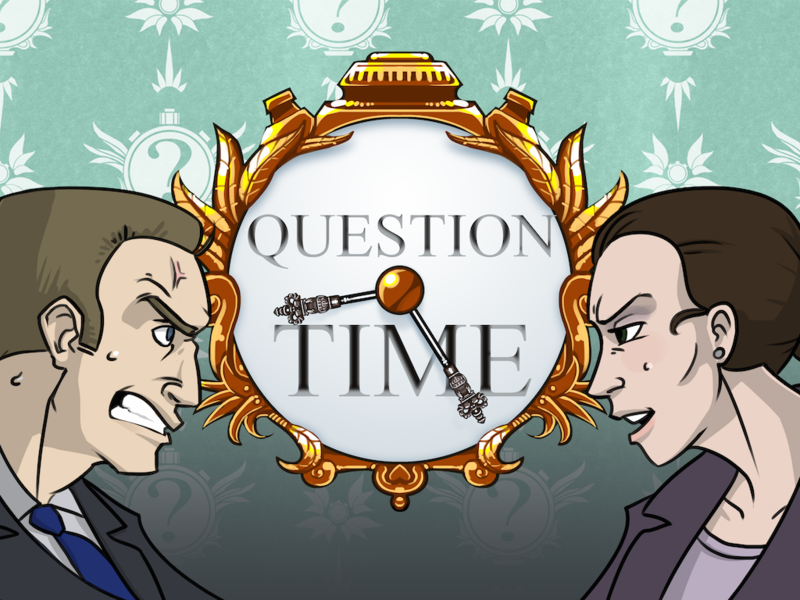 Question Time is played by two players, with each selecting an MP, and a portfolio area –– both players then answer questions about both portfolio areas, from the perspective of their chosen MP. Questions are answered by choosing where their MP might stand on a spectrum of Strongly Disagree to Strongly Agree, or choosing to Abstain. At the end of the game, the player who came closest to choosing their MPs real opinions, in line with their votes in parliament, is declared the winner. Data drawn from the results of ABCs Vote Compass, showing the opinion of Australians on issues related to the questions asked is then presented to the players as an end-game summary. Question Time helps people better understand how their MPs are voting on a variety of issues. By wrapping this vital understanding of democracy in action in an exciting game, citizens are more likely to engage with it, becoming better informed, engaged, and excited by politics. Easily expandable and targetable to children, for example, providing a basis to encourage political understanding. Many of the team members have significant expertise building games for children. Australian Parliament House Hansard (http://www.aph.gov.au/Parliamentary_Business/Hansard), ABC Vote Compass 2013 Responses (http://data.gov.au/dataset/vote-compass-2013-overall), Federal Electorate Boundaries (http://www.aec.gov.au/Electorates/gis/), Open Australia Public Whip (https://github.com/openaustralia/publicwhip), Open Australia Parser (https://github.com/openaustralia/openaustralia-parser), ParlParse (http://parser.theyworkforyou.com), They Vote For You API (https://theyvoteforyou.org.au/help/data).